Posted by TimTheFoolMan in Humor. 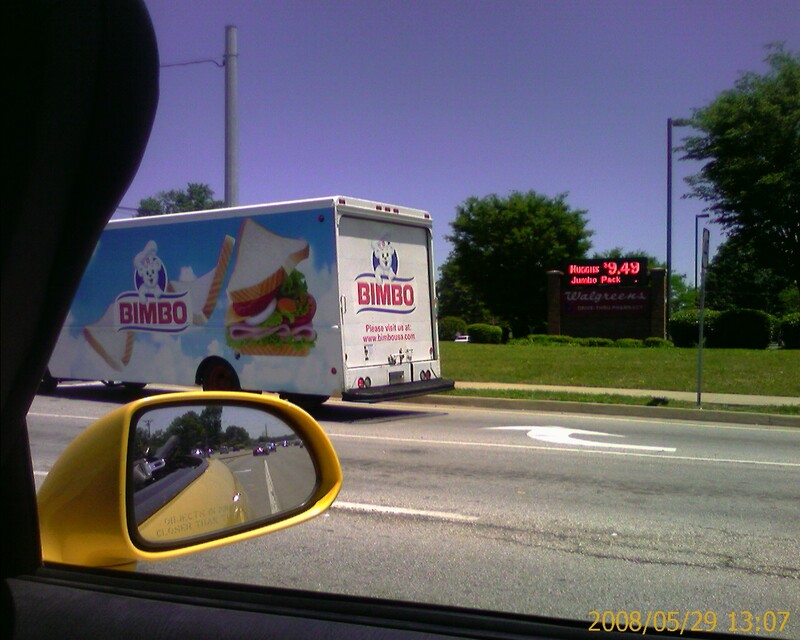 Driving down a busy street in Louisville, Kentucky, I noticed a bread truck in an adjacent lane. I did a bit of a double-take at the brand name advertised. This is, in fact, a legitimate brand, and not a Photoshop’d picture. You can find proof here. Posted by TimTheFoolMan in Humor, Starbucks. For several years now, my Starbucks addiction has manifested itself in the form of a Quad Con Panna with a shot of white chocolate. It has a strong espresso taste (from the four shots), but the presence of whipped cream and the white chocolate takes a bit of the edge off the espresso early in the morning. Making it even harder to avoid getting this instead of “regular coffee” is the price: $2.81. However, as the weather gets warmer, I’ve found myself able to steer away from the many Starbucks locations, largely because something about a hot beverage in hot weather just seems contradictory to my soul. 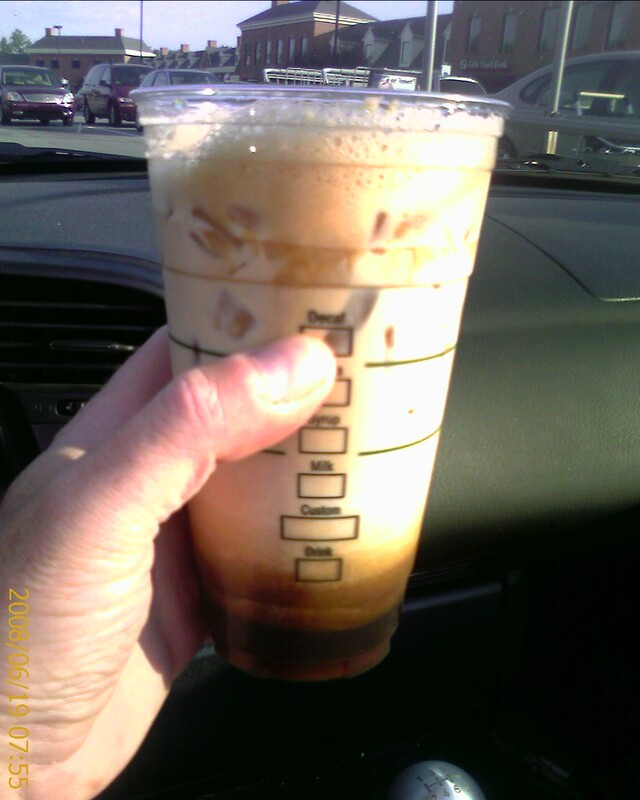 On rare occasions, I would spring for a “Venti Iced Black & White” (four shots, white chocolate, mocha syrup, milk, and ice in a 22 oz cup), but this is cost prohibitive at $4.65. Do not be fooled by the name. The only version that contains just two shots (which you would expect from the “Double Shot” name) of espresso is the strangely-named Tall size. The Venti (my personal favorite) contains five shots, and though the standard version contains the “classic” syrup (liquid sugar), they will substitute white chocolate at no cost. Adding insult to injury (and calories to the drink), one of my many barista buddies alerted me to the option of topping it with Half & Half instead of milk. Posted by TimTheFoolMan in Cartoons/Animation/Video, Family, Flatulence, Fun, Humor, Love, Movies, Parenting/Children, Stupidity. My older son and I made the following video on the Saturday of Father’s Day weekend. The local Kino group put this on, and at the last minute, we decided to give it a shot. Enjoy!